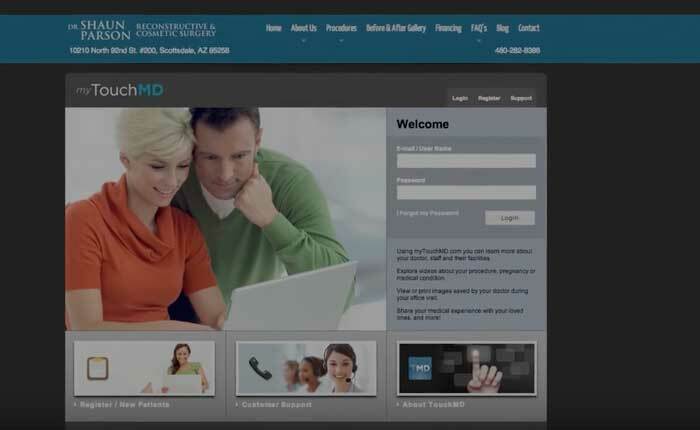 Patients will have a login prior to their consultation and are able to familiarize themselves with the practice, discover what their consultation will be like and explore various topic videos about procedures and or medical conditions. One of the greatest things about this software program is that it allows you to relive your consultation in the comfort of your home and on your own time. Many patients even like to relive the office visit with a friend, spouse or significant other. It really allows patients to fully absorb all the information that was presented during their consultation with Dr. Parson. It even allows you to print any images or document that have been saved! TouchMD has helped make things as simple as possible for patients to understand, educate and have better piece of mind that their desired outcome has been properly communicated.